Lighting for my new Aquarium? I am going to be setting up my aquarium again when I move in a month and I am going to buy some live rock, fish, and would eventually like to try my hand with some coral and anenomies. I was wondering if this lighting set up for my 55 gallon tank will be suffient. 2x 65w Straight pins 12000K Daylight PC Bulb. 2x 65W Straight pins True Actinic PC Bulb. It depends on the corals you are looking to keep. Many SPS corals will require more intense lighting, but there are also others that will thrive in the your lighting setup. Others will chime in with their thoughts soon. 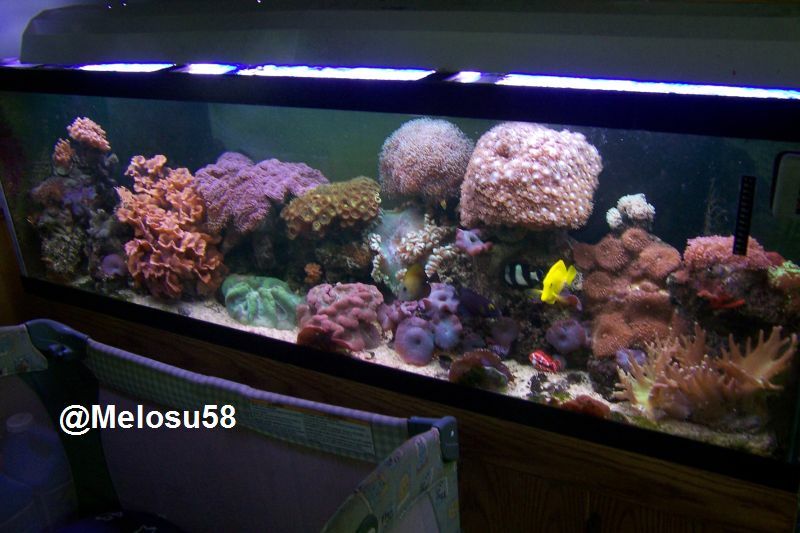 You should add the type of corals you want to keep to help others tell you which lighting system you would need. It will be OK for soft corals and LPS corals. Are you going to be using any LR? Excellent source of biological Filtration. Here is a good list of things you might need. I already have about 30lbs of porous rock, but it is not live. When I move in a month I plan on buying about 30lbs of live rock and mixing it with the rock I already have. Will that be enough?? I am on a tight budget. I just have a few more questions. Will it be ok to put anenomies in there. If so what kind should I get and what kind of lighting schedule is ideal? anenomes need a mature tank at least 9-12 months along. A new tank is just too unstable for them.